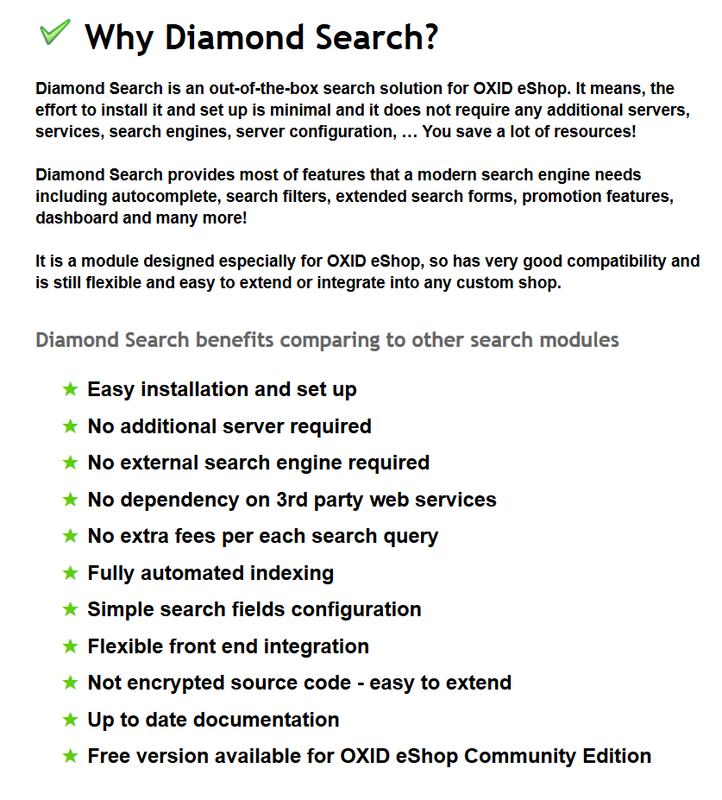 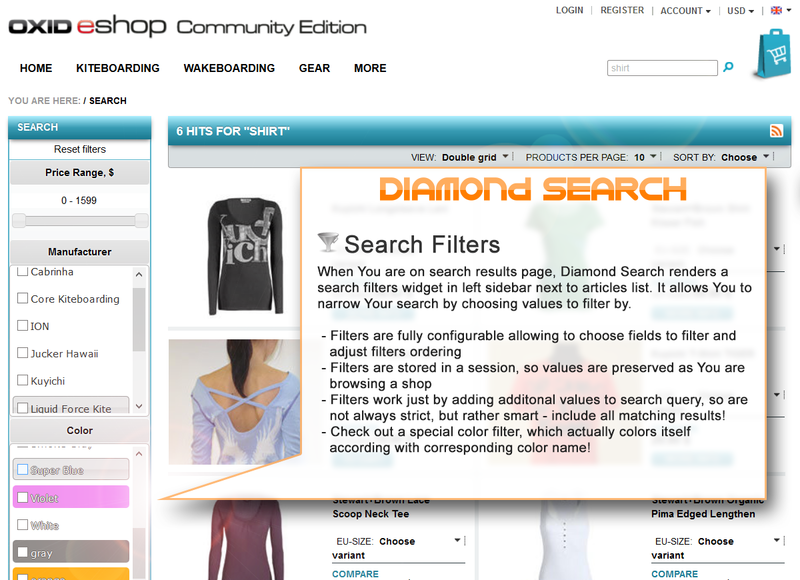 OXID eXchange | Diamond Search v0.4.0 CE 0.4.0 CE | Stable | CE | 4.7.x - 4.9.x - search filters | Module, Themes, Language Packs direkt herunterladen! 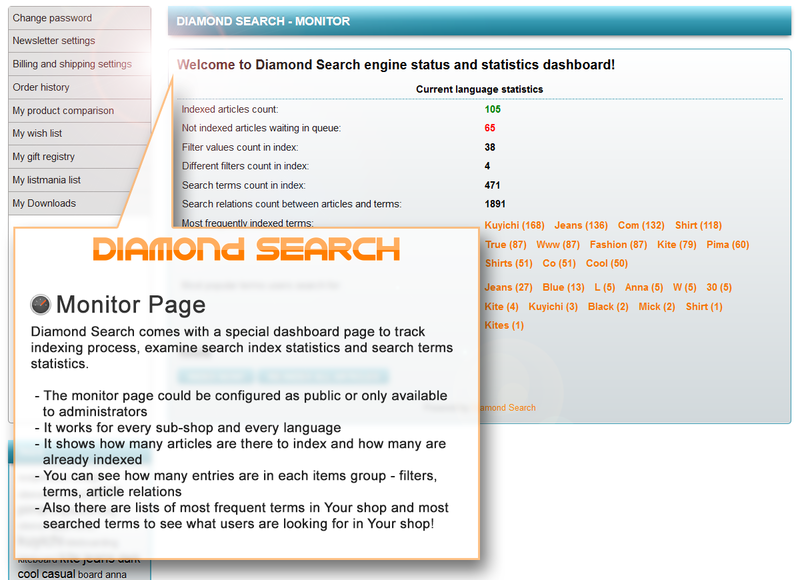 No server configuration, no integrations, no setup or indexing effort - just install the module and activate it! 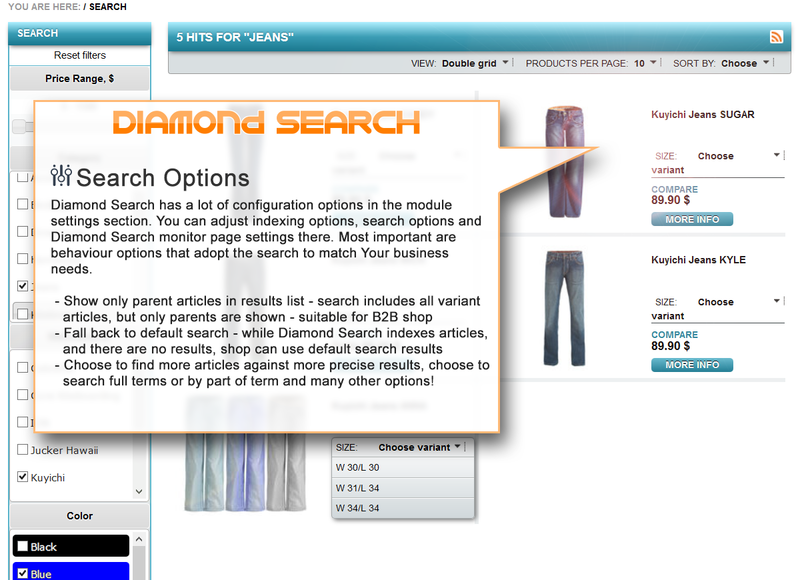 Excellent Code Quality and Best Compatibility Modules for OXID eShop!